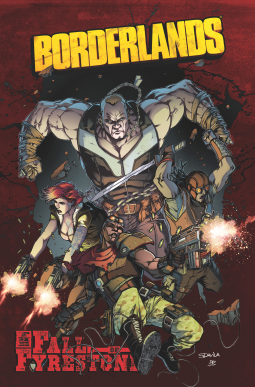 Bounty hunters Roland, Lilith, Mordecai and Brick are about to find out just how dangerous Pandora is and that a gang lord operated by a man named Nine Toes (we never see his feet, so we don't know if the name is because he has only nine toes) that is out to kill any Vault hunters. No we don't know what is in the Vault as it's an unknown that is to be feared (crazy Nine Toes' rant). The book was good, it's interesting, as a series, I'm definitely hooked and I will be returning to learn more about this Vault, my guess is an intergalactic treasure or a super powerful weapon, that would be so cool. This book feels a little short, especially with the cliff hanger ending, but we get a lot of action and fighting, so we can overlook the short part.